A 23-year-old man from Chicago’s Montclare neighborhood is charged with burglary and possession of burglary tools in connection with Monday morning’s break-in at a Lincoln Park jewelry store. 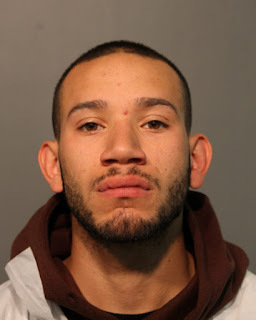 Prosecutors say Doel J. Pizarro was chased down by police who saw him exiting the rear door of Steve Quick Jewelers, 2471 N. Clark, with an accomplice around 1:30AM. Pizarro was carrying $1,085 cash, a ski mask, and a bag that contained a display tray of 62 rings, a crowbar, and large bolt cutters, according to an officer who was on-scene. Investigators also found a glove behind the store that matched a glove that Pizarro was wearing, prosecutors said. Bail for Pizarro has been set at $25,000. The second offender remains at large. Court records indicate that Pizarro is also awaiting resolution of another case that accuses him of filing a false vehicle theft report, resisting police, and disorderly conduct last summer. He received 2 years probation after pleading guilty to aggravated unlawful use of a weapon in 2010, according to court records.